(2015). Linkage of doxycycline onto functionalized multi-walled carbon nanotube and morphological characterization. International Journal of Bio-Inorganic Hybrid Nanomaterials, 4(4), 203-207.
. "Linkage of doxycycline onto functionalized multi-walled carbon nanotube and morphological characterization". 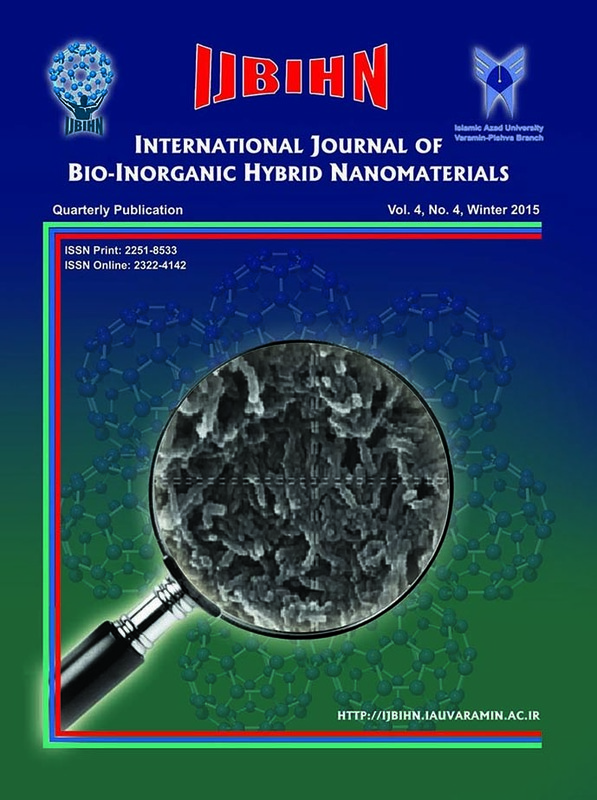 International Journal of Bio-Inorganic Hybrid Nanomaterials, 4, 4, 2015, 203-207. (2015). 'Linkage of doxycycline onto functionalized multi-walled carbon nanotube and morphological characterization', International Journal of Bio-Inorganic Hybrid Nanomaterials, 4(4), pp. 203-207. Linkage of doxycycline onto functionalized multi-walled carbon nanotube and morphological characterization. International Journal of Bio-Inorganic Hybrid Nanomaterials, 2015; 4(4): 203-207. In this paper functionalized multiwall carbon nanotubes (FMWCNT) were modified using doxycycline, containing reactable nitrogen, which can attach chemically to functionalized MWCNT. The synthesized nano compounds were characterized by Fourier transform infrared spectroscopy (FT-IR) and Raman spectroscopy. These spectrums proved the existence of nitrogen atoms of amide functional groups. The morphology was also determined by scanning electron microscopy (SEM) and Transmission electron microscopy (TEM). Also the SEM and TEM images confirmed the uniformly attachment of doxycycline, onto functionalized MWCNTs.